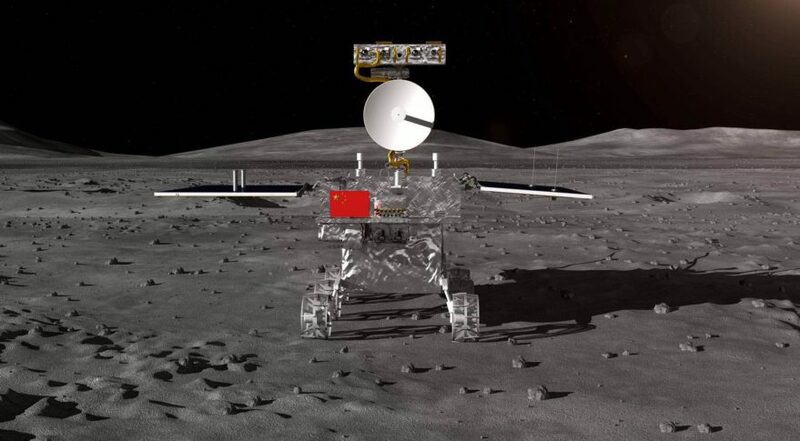 I have decided to end my long silence to say a congratulations to the Chinese space agency. You have done it and it can never be reversed! 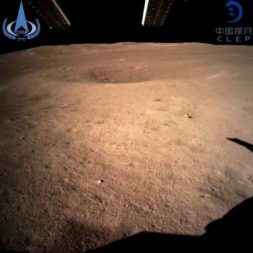 Chang'e 4 has landed on the so called dark side of the moon. Actually it gets a lot of light. However we on earth only see one side of the moon. 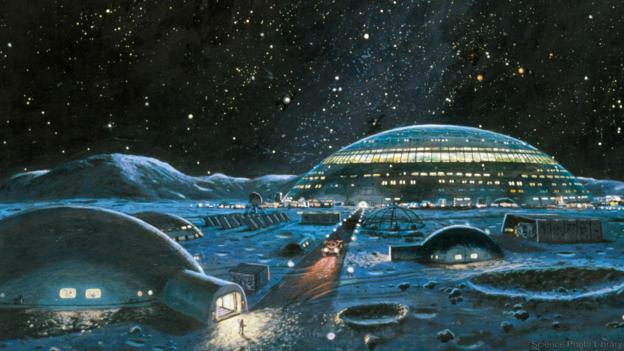 This is an artist's rendition of what the rover it looks like on the moon's surface. To me this is exciting news, anything in space has always fascinated me . As a human I share and enjoy the accomplishments of brave women and men in space. I also get a kick when the robotic probes are successful. I have a special place in my heart for all robots. They are our ambassadors to the great unknown and they light the way for mankind to reach out into space. Will you look at this amazing photograph!!! I get chills just looking at it! This is a picture of the moon that has never been seen even by telescopes. Great, great work all you women and in the Chinese Space Program. I want to say a personal THANK YOU !!! There are those in this world that only look at their feet or the very simple things on their television and forget to see the wonder that is all around if they only look up. Let the stars get into your eyes!! Now look at how the signal is being sent to earth. There is not a direct line of sight since the craft is on the other side or farside. 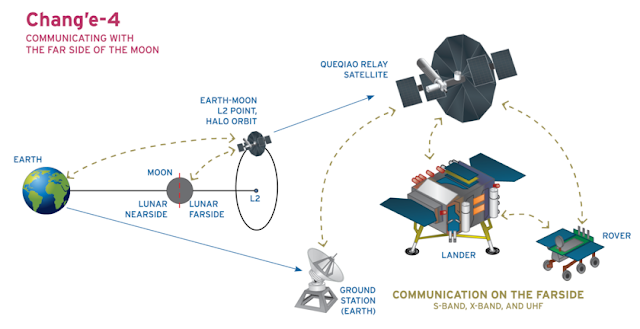 So the signal is sent to an orbiting satellite and relayed to Earth. I must say what a neat and logical solution. This done because the orbiting satellite is in a lagrangian orbit. That is a small object will maintain its position relative to a larger object. It the upcoming days we shall see more pictures as the rover goes for a walk, or in this case a roll. These are exciting times for those of us who appreciate what is going on. The reason I am writing after a long while is because this is worth standing on the roof tops and yelling to the world to take notice. I have not been this excited since Yutu. However I have noticed that the western news media is not very happy about the news. Though they do tell us there is not the level of respect that they show when the United States does something in space. Over the years I have seen that most of the people of the world care more about stupid, mundane things. 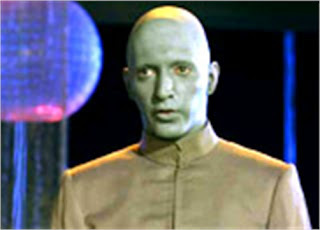 I have seen the great powers of space fight and argue with each other. In this year of 2019 I thought we would be more united and prosperous. This creates in me a profound sadness. I know that at my age I should not be so idealistic , but not being so is no alternative. Dream with me for a little while. I would like to see the world a happier place where everyone lives in peace. I would like the nations of the world uniting and solving the problems of ecology and society. Then the entire population can live with enough food, wealth and housing. In order for the universe to be properly explored and used well no one nation alone can do it. It is far too expensive and will require the talents of all of humanity. Space will unite the human race and as such we will be a better species. We must see beyond race and politics and faith and finally realize our destiny !! A DRONE IS NOT A ROBOT !!!! A drone is not a robot !!! Let me repeat this again A DRONE IS NOT A ROBOT !! Yet these things are in the press as the cutting edge of robotic technology. Over the years I know the press has the flavour of the month mentality and all the no nothings get all excited by such stories. All this type of nonsense will last about a nanosecond. For those that do not know, this is a very, very, very brief amount of time. Oh yes they are giving us pictures from above, they are spying on those guys in the black hats, and they are going to deliver our goods. To me it sounds like a lot of baloney. Let me know go through my thoughts about this subject. First let me state like I often do that I owe much of my thinking about what a robot is to David Heiserman. I learned how to truly build robots by reading his books. To anyone who has not I recommend them without any reservation, In these days of arduino and C-language they may seem old but I believe one must learn to crawl, then walk. A great deal of what he wrote is still applicable today. Robot builders of this century owe a great deal to the robot pioneers of the last century and we should never forget what they have taught us. His most revolutionary concepts were to question and the answer what a true robot could be.This short note is not that place to give it the attention it richly deserves, and I will make it the subject of a future blog. I love to write about robots !! His idea was that true robots must have autonomy. The capability to give his creations the chance to decide for itself what to do. To structure the program and the physical artifact in such a way, that after it has helped the humans that are around, it does what it wants to do. 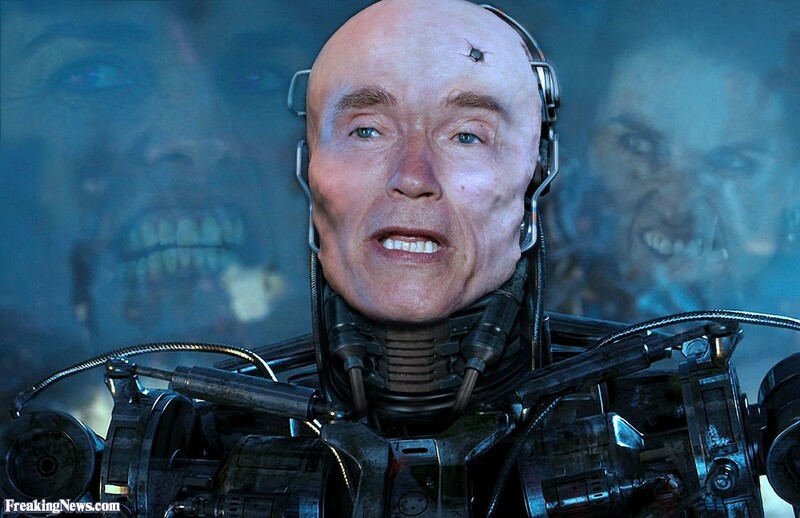 I have yet to see any robotic creation come close to his vision. Yes I know the reason people make robots as little slave machines and that is so limiting. Imagine, a useful tool in all robot builders tool box, that someone told you what you can and cannot do. In this century as humans we have a lot of problems that we are trying to solve. Sadly we still have the social problems of the last to deal with and this takes so much valuable time and energy away from the creation of a much better future. Today you see it everywhere, robots made to be slaves to mankind so that the great expense and even greater trouble to build them is justified. Why spend a small fortune and a great deal of time, blood , sweat and even tears to give your robot autonomy. Gee a robot has got to do something useful for his master. What a load of idiotic thinking. I have read articles that cannot break out of this way of conceptualizing. I realize that building and paying for this building is expensive. Let us face it that there are no altruistic funding sources. They want something for their cash. How last century is that kind of thought pattern. Let a pair of robots express how I feel. 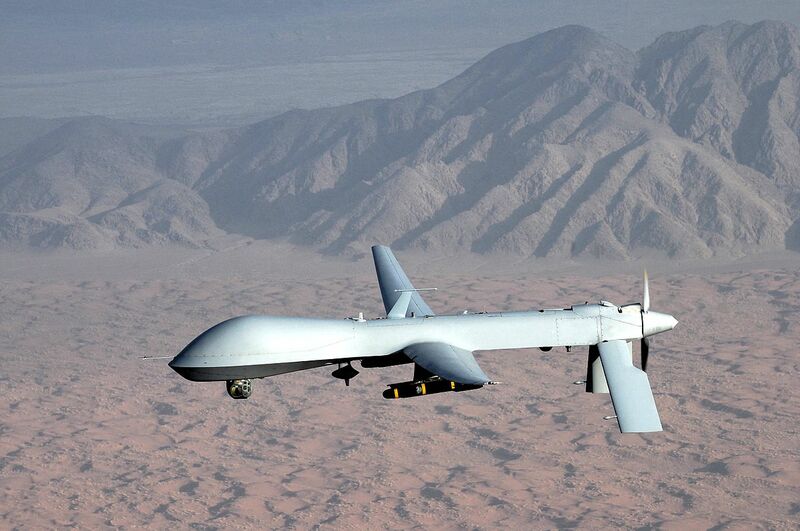 Drones from the most sophisticated to the very cheap are controlled by remote. This disqualifies them from being robots. They are essentially cameras that fly. The military ones stay afloat for longer times but they are still controlled by a human. Those cute pictures and videos are taken by someone pressing a button. An all too human operator will drop your breakable electronics order from a great height in front of your door. 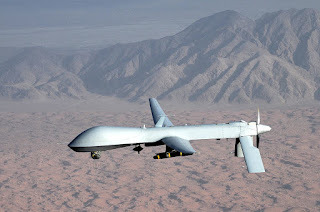 Sure drones can deliver stuff but they are afflicted by something that has not progressed as far as some us had hoped. Anyone who has built a machine that runs on batteries sees the problem. 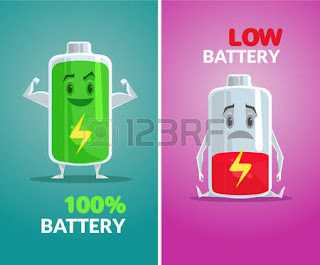 Robots today still need the rechargable batteries and this is a serious situation. One big problem with building robots is the power needed to run the electronics, cpu and motors. Any one who has built even the simplest robot will know that well over 50% of the overall weight is usually the battery. To make matters worse the length of time that this battery can function with adequate current is all to brief. 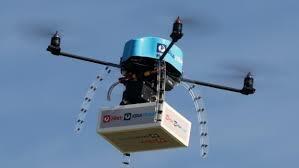 Let us consider those so called delivery drones. They usually have four motors connected to the rotors. As they lift off with their payload they are using a lot of energy. As they get airborne they have the weight of the package and themselves so the energy consumption is greater still. Every maneuver, up ,down, left or right uses more juice. With the batteries that exist today they will not carry enough juice to go very far, and so the package they carry will have to be very, very, tiny. If you want to carry a bigger package you will need bigger motors and a bigger battery. I could go on but you can see where I am heading with all of this, this flavour of the week technology is not going to work unless we improve the batteries. Ah you may be thinking what about those big fella drones used by the military. Now I am aware of them as most people are, but I do not have a great deal of information about them more then what the defense departments of the world release. 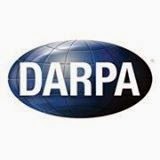 I know that DARPA funds a lot of robotic research in the United States. And according to my Golden Rule, he who has the gold makes the rules. Their objective is to keep and extend the capability of the armed forces and not jeopardize human lives. It is worthwhile in the sense you are saving precious lives. However it is at the very same time horribly wrong since they may use the children of our collective genius, robots, to hurt others. Using robots to kill is just plain wrong. Since the decision and execution of the killing order is done by humans the blame cannot be given to the slave machine, tethered and controlled by us. How sad when they cannot see the vision of the future where these robots could be used for so many better objectives. I have written before and will continue to write this one thing that I see always before my mind's eye. Robots should and could be used to help mankind make it up the hill of survival. They can , if they so desire, help us light up the darkness of our ignorance. They can help us survive and thrive. However this can only be achieved if we use and guide them properly. As humans we are so lucky to live on such a bountiful planet. Alas witness what we have done to our poor Mother Earth. We have poisoned the air and the sea, killing the other species that cohabit our world. We play with nuclear waste that has the potential of killing everything . Sadly as stewards of life we have failed but it is not too late to walk away from the brink of extinction. With our , good , dear friends the robots we could change all that now. The analogy that comes to mind is that of a plant. Depending on the seed and the place it is planted and if it is tended and nurtured correctly it can grow into a beautiful flower. What kind of seed are we planting ?? Seems that we all get so busy this time of year that we forget what is REALLY important. This blog is going to be very short and sweet. I wanted all those unique and wonderful people around the world who visit my humble blog a very HAPPY HOLIDAY !! No matter who you are or where you are on this special day I want you to enjoy and by all means have FUN !! 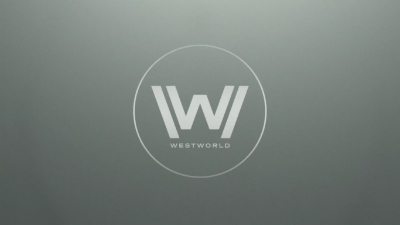 I have been watching the series Westworld that HBO produced. I have seen the original made many, many decades ago. I have also watched the sequel to that , Futureworld. In the latter the owners had a devious plan to replace the rich and important people with identical looking creations they can control. The new one has very interesting conversations between the characters. They even mention the bicameral mind. Of course I recognized it since I am familiar with the book, "The Origin of Consciousness in the Breakdown of the Bicameral Mind", by Julian Jaynes in 1976. This subject is very, very complex and I will be back to it in another blog. I was interested in this latest attempt by the entertainment industry to explain this technology. Because I actually build robots I have a very satisfying fascination with anything robotic. I have watched all the movies that deal with this subject. I am not always happy with the portrayal of these children of our collective genius. One I saw that was completely unknown to me was made decades ago and not very popular. It was , " The Creation of the Humanoids", in 1962. Google it and if you are interested download and watch it all. It may not made with computer generated images, but the dialogue is still interesting. 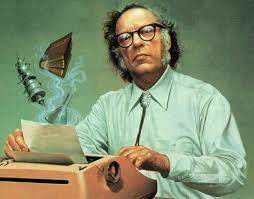 As a fan of Isaac Asimov my view of robots have been influenced greatly by his writings. His approach was well considered and sensitive. Alas it seems nowadays that others fear the rise of the robots. This one word , ROBOT, is not easy to explain. I do not mean drones or this new fangled notion of having cars without those pesky humans behind the wheel. I mean autonomous artifacts that try to make there way in our chaotic world. I look forward to the day when these machines are able to actually have a conversation with us. However in many cases when I watch the results of Hollywood's very limited imagination I am made sad and at times mad. Once again , ad nauseam,in this HBO version, the creations are complex but still being controlled and manipulated by humans to do rather stupid things over and over again. The story has some interesting plots and subplots and the dialogue is so very cool and deals with rather deep subjects. I have to admit that some it leaves me scratching my head and it makes me think, which is always a good thing to do. One day soon someone will have the vision and courage to make something that deals with the very positive aspects of our future interactions with our robots. Where the future is a bright and cheerful place and ignorance and stupidity are banished into the dark corners. Of course this is an ideal request but not one that I feel is impossible. I have felt for many years now that these creations of our genius will help us survive and thrive!! I have to see this series to its conclusion and then I will see if it is worthy to be placed with my collection of movies that at least are trying to show how things might be. I know that whatever is done is done by us, with our minds, hearts and hands. As such I know that in this world , with some seven billion souls, there some good people ready to step to the challenge. As always I will be watching. I love that line from the Terminator series. yes I have been gone too long. I am pleased that people from all over this world still take an interest in my humble words and ideas. I have not forgotten my work and the reason I have been not writing as much is that I have done a lot of thinking. I mean A LOT of thinking and questioning my ideas about robots. So as a video hero once said " hang on to your socks!" Let us begin with these pictures before I start. Ulysses is thinking... What in the name of Zeus is that thing up there ??? 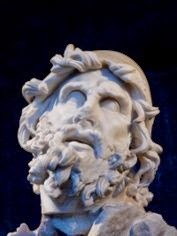 When Ulysses of Ithaca was trapped in the cyclops cave he was asked who he was. Wisely he answered the one eyed creature asking the question that he was 'nobody'. The cyclops was eating his men and had trapped them in his cave by rolling this very heavy rock to block the entrance. As their leader Ulysses could tolerate such a state of affairs and in typical human fashion he devised a plan. The first part of his plan was to bind the poor creature as he slept. When they had done that the cyclops yelled so loud the others of his kind that lived close by came to the cave to investigate the noise. They asked what was the matter. The blinded monster yelled out " Nobody is hurting me !!" So they turned and walked away. The reason for this long preamble is that in two instances it has direct connection with the following very personal opinion regarding something I noticed in the news. 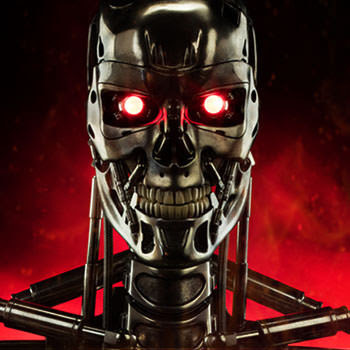 Stephen Hawking has warned mankind about the dangers of Artificial Intelligence. Let me state from the outset that I am intelligent and can express myself well, I am in no way comparing myself to Mr. Hawking. I hold him in high respect and am in awe at all he has done. His superb intelligence is not in question here and his theoretical work is truly amazing. That he continues to work and speak in public is an indication of his great courage. 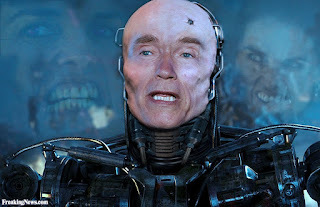 However I strongly disagree about his fear of artificial intelligence. Before I continue I must make this one point. I personally prefer the term machine intelligence instead of artificial intelligence. The latter term is misleading in the sense that it places in the mind of anyone reading it or hearing it that this kind of intelligence is somehow fake ; i.e. not real. This intelligence, when it makes itself manifest will be real, though a bit different. However it will have substance and be able to interact with its environment. As to how it interacts with the world that surrounds it and the other intelligences that populate our planet is a matter of great debate. Like all technological revolutions the changes that occur will be relatively swift and far reaching. We are at the beginning of something that will forever change our world. 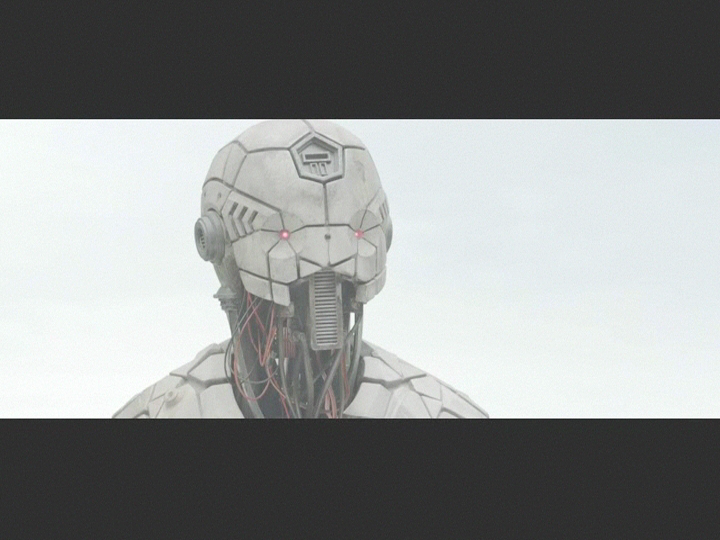 Yet we have within our great creative power the means to dictate the future evolution of this robotic intelligence. The seed of what we want our mind children to be is all important. If we plant something to bear beauty , this will be so. Conversely if we want something to be horrible and grow thorns, this choice is from the outset. As I pursue my research I keep a very close eye on what is happening in the rest of the world. Much gives me hope that we are on the right path. However I also notice, especially in North America a very, very disturbing trend. I conduct my robotic research and robot building with a modest budget. Many others do the same and this is fine by us. I control my research direction because I am the one paying for all of it. How can we compete against the millions of dollars being poured into robotic research by the various military organizations around the world. Their ultimate goal is to have autonomous weapons. Regardless how altruistic the media hype they generate that is their final objective. Even though this still is an infant technology, I see what little we know being turned into objects that are destined to destroy and kill those humans we see today as a vicious threat. This is most definitely, completely, absolutely wrong !!!!! It is not well thought out and just plain and simply stupid !! 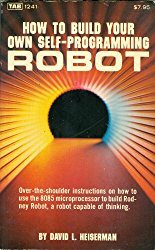 I recall in my early days of research how I programmed my 64K, TRS-80 Model IV computer in basic to run a robot simulation on its screen. 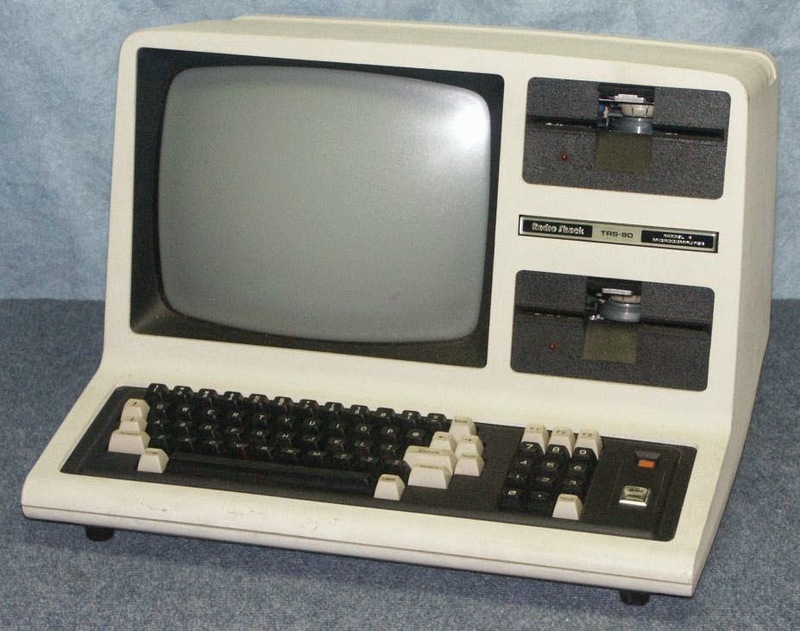 David Heiserman developed the alpha basic for this and other computers. There was a dot on the screen that wandered about a simulated room represented by walls of light on the computer screen. When it hit the wall it would randomly pick another direction and see if it was blocked. It would then move or pick another direction and try it all over. It could not stop and I happily watched it move about. A simple elaboration would leave a trail that it could not cross. Eventually after it had moved across most of the screen it would paint itself into one small section. Using a similar approach a very expensive vacuum cleaner has been sold to thousands across the globe. So we have one of the most popular misconceptions about robots fulfilled. We have made them slaves !!?? Is that word too harsh. Let us analyze this statement and we shall see that I am very correct in my conclusion. Slavery is the most disgusting, despicable thing one human can do to another. It is immoral, uncivilized and cruel. How can a creature of this most majestic universe, who has a mind that can contemplate infinity, stoop so low and partake in such a vile act. To own people like they were property. To make the slaves do all the terrible and hard work while the slave owners reap the rewards. Replace humans with the word robot and you see we are doing again. This time we will have a machine underclass. I must tip my hat at this point to David L. Heiserman . I learned robotics , reading and applying his wisdom from the many books he wrote. 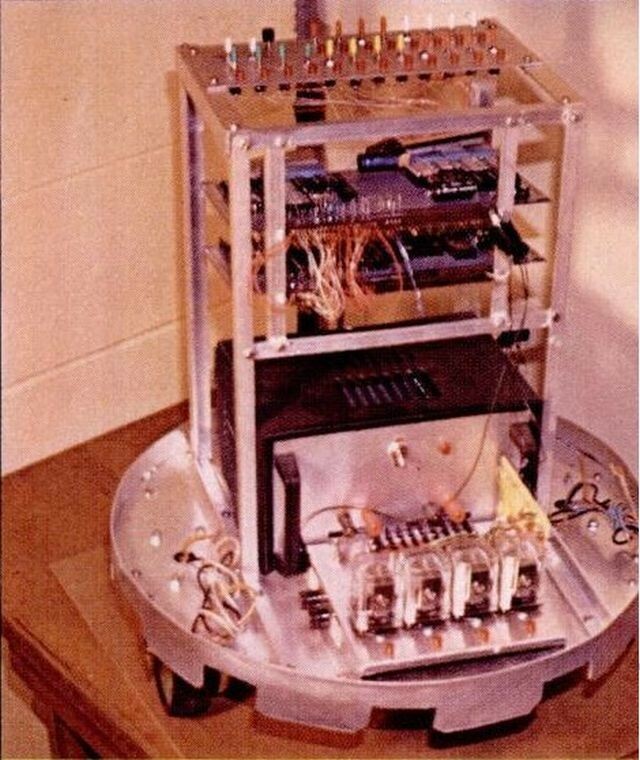 One that had me captivated was the book " How to Build Your Own Self-Programming Robot ". Before I read the chapters that described in exquisite technical detail how to build an actual, true to life, robot, he carefully prepared our minds by explaining what a true robot was in his opinion. This is something I have adopted and support without hesitation. A true robot must be first and foremost, autonomous. That is whenever he/she/it are not doing the tasks assigned to them, they must be free to pursue goals of their own choosing. Those thinking individuals out there are asking, surely the present level of robotics has not achieved machines of this high calibre. However I counter that our aim in this enterprise should be to produce the superlative not the mediocre. We forget that as we reach for higher and seemingly impossible goals, we as a species will grow, mature and evolve. Not a single day goes by that I have not thought about those wondrous artifacts. I think about why I am building robots, what material I should use, what type of wire should I connect and other thoughts that are well, nice and comforting to think about. As such what I really know are robots with machine intelligence. I can voice an opinion when it comes to the worlds problems. Sadly I have no answers for the complex problems afflicting our planet. However when a high profile individual points a finger at what I do and says to be scared of it I have no choice but to respond. 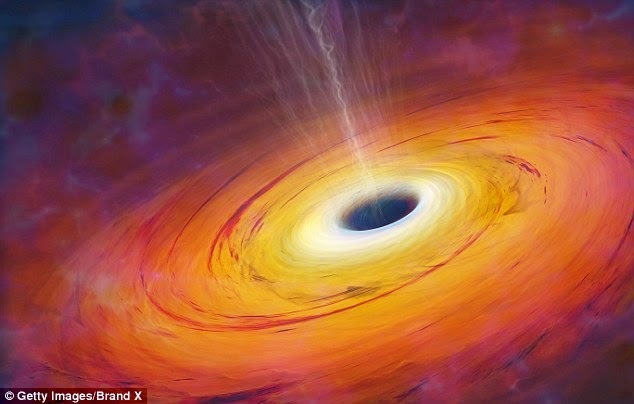 I have o admit that what Mr. Hawking is referring to is not yet in existence. Some say it will never be possible. Others go to the other extreme and say it is around the corner. Thank goodness robotics is a difficult study an even more difficult application. My advice is to leave robots to the roboticists. The work will progress slowly and surely. 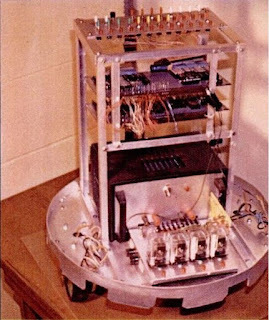 The amazing thing in this field is that significant progress will be made by the lone robot builder , working alone and forgotten in his home lab. I feel if we listen to the better angels of our nature we have nothing to fear !!!! I was looking for new movies about robots that are not so mainstream. 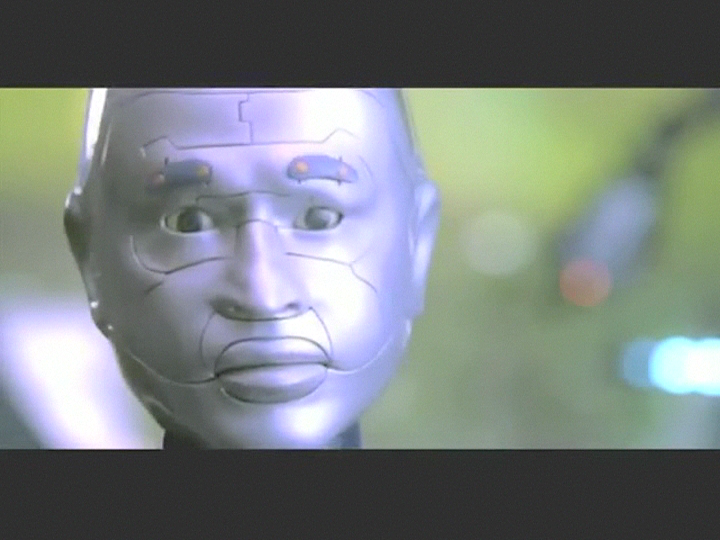 By that I mean not involving amazing and unrealistic looking humanoid robots. We know that machine intelligence will not be housed in such good looking female forms. How sexist with little boy imaginations are these movie producers. 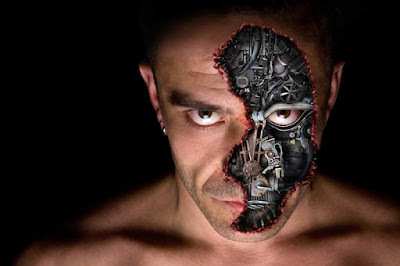 I use the term machine intelligence because the the term "artificial intelligence " makes most people think it is some how not real. It will be real just different, and that is fine with me. Well I found one truly amazing and overlooked film. The boring mainstream media did not put it on my radar , so I am glad I went looking and looking and looking. 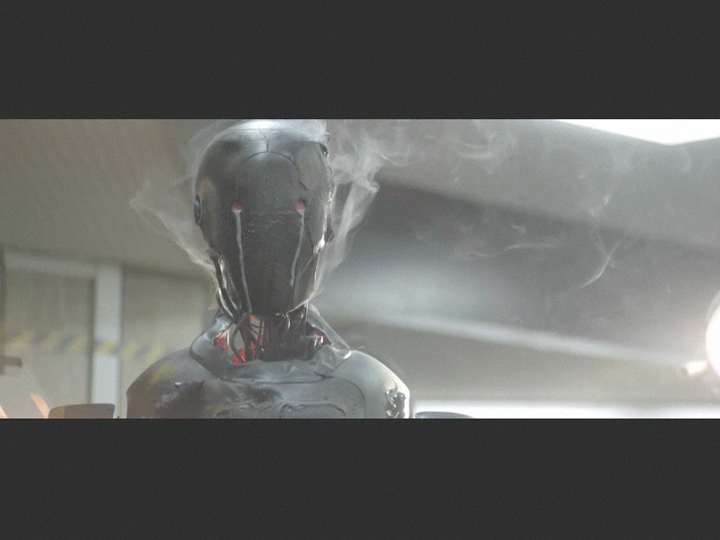 It is called "Automata" and it weaves a great story with amazing looking robots , which I love to watch. They move and react so lifelike that it sent a chill up my spine. When they spoke I almost cried. For now I will leave you with this video and picture. However I will be back to talk about some more. What is there really to talk about but robots anyway, everything else is soooooooooooooooooooo boring. You are just a machine ??! !